The National Secular Society has welcomed a call from the head of education watchdog Ofsted for head teachers to confront religious extremists who “indoctrinate impressionable minds”. 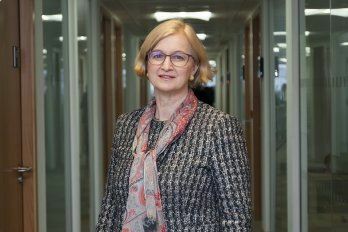 In a speech at the Church of England Foundation for Education Leadership, Amanda Spielman told heads they had a responsibility to “tackle those who actively undermine fundamental British values or equalities law”. Ms Spielman said school leaders should promote “a muscular liberalism” which “holds no truck for ideologies that want to close minds or narrow opportunity”. She contrasted this with “a passive liberalism that says ‘anything goes’ for fear of causing offence”. Posted in From the NSS on February 2, 2018 by Cornwall Humanists. Last week, Humanists UK took the step of making student membership of Humanists UK absolutely free for all students in further education for the duration of their degrees. See recent campaigns by Humanists UK. Apply for student membership here. Posted in From Humanists UK, In The News on September 27, 2017 by Cornwall Humanists. The Church of England is facing a catastrophic fall in the proportion of young adults who describe themselves as Anglican as data shows an acceleration towards a secular society. For the first time, more than half the population say they have no religion, and the generation gap on religious affiliation is widening, according to the British Social Attitudes survey. Only 3% of adults under 24 describe themselves as Anglican – fewer than the 5% who identify as Catholic. Almost three out of four 18- to 24-year-olds say they have no religion, a rise of nine percentage points since 2015. Posted in In The News on September 5, 2017 by Cornwall Humanists. Congratulations to Cornwall Humanist member Mark Preedy for his excellent, rational thoughts at Creation Fest on 9th August at Wadebridge Show Ground. Andy Bannister was putting a Christian view. He is an experienced speaker, writer, teacher, and full-time Director of the Solas Centre for Public Christianity. 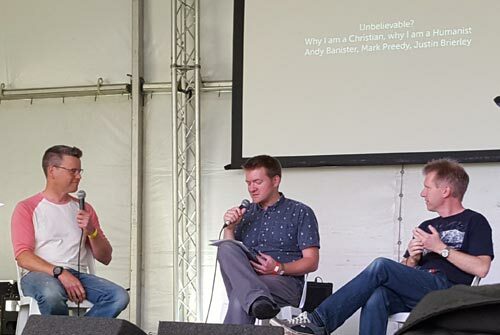 Justin Brierley chaired a discussion in the Showcase Cafe between a Humanist, Mark Preedy, and a Christian, Andy Bannister. The discussion is to be broadcast at 14.30 on Saturday 12th August in the programme “Unblievable” for Premier Christian Radio. 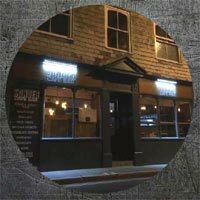 In the public question time Peter Edmead, a member of Cornwall Humanists, asked Andy Bannister if he could supply one piece of evidence for his views. Dr Bannister told us that he could give five pieces of evidence for his Christian beliefs. He spoke about cosmic fine tuning as evidence, and the life of Jesus, but the questioner was not convinced that any evidence in a scientific sense had been supplied. There were seven known Humanists in the audience numbering hundreds. The Humanists were approached afterwards by people trying to convince them of the truth of Christianity. Posted in In The News, Uncategorized on August 11, 2017 by Cornwall Humanists. We believe that pupils from all different backgrounds should be educated together in a shared environment, rather than separated according to the religious beliefs of their parents. Posted in From the BHA on June 1, 2017 by Cornwall Humanists. 48.6% of adult Britons now claim to have no religion. 43.0% identify themselves as Christian. 8.4% identify themselves with a non-Christian religion. You can read the full 20 page report here. Posted in Uncategorized on May 15, 2017 by Cornwall Humanists. The following is an article published in the March 2017 issue of the Royal Cornwall Hospital’s “One + All” magazine. Volunteering at RCHT attracts people of all ages, coming from all sorts of backgrounds. Most have inspiring stories to tell about why they have chosen to give their time to support patients, staff and visitors at our hospitals. In this edition of “One + All” we take a look at some of these stories. 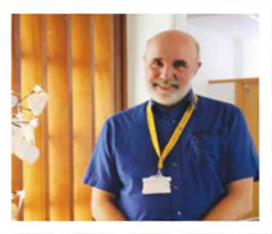 Peter Edmead is a “Humanist Pastoral Volunteer” who divides his time between West Cornwall Hospital and the Royal Cornwall Hospital site at Treliske. While his role with the voluntary services has had a relatively recent beginning, his interest in providing help and support to those in need has been a long held concern. Posted in In The News, One+All Magazine on March 23, 2017 by Cornwall Humanists. You can watch a 2 minute video of Bertrand Russell speaking in 1970. Posted in From the BHA on February 6, 2017 by Cornwall Humanists.